Dennis Lehane Books/Ecco, 9780062249890, 320pp. 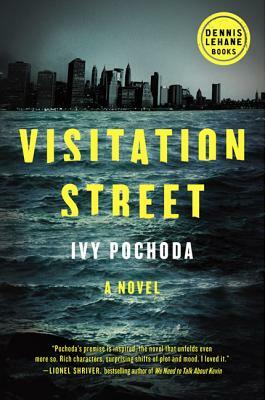 Chosen by Dennis Lehane for his eponymous imprint, Ivy Pochoda’s Visitation Street is a riveting literary mystery set against the rough-hewn backdrop of the New York waterfront in Red Hook. It’s summertime in Red Hook, Brooklyn, a blue-collar dockside neighborhood. June and Val, two fifteen-year-olds, take a raft out onto the bay at night to see what they can see. This shocking event will echo through the lives of a diverse cast of Red Hook residents. Fadi, the Lebanese bodega owner, hopes that his shop will be the place to share neighborhood news and troll for information about June’s disappearance. Cree, just beginning to pull it together after his father’s murder, unwittingly makes himself the chief suspect, but an enigmatic and elusive guardian is determined to keep him safe. “Ivy Pochoda makes the saltiness of Brooklyn’s Red Hook come to life so vividly that every time I looked up from the pages of this intoxicating novel, I was surprised not to be there. Visitation Street is imbued with mystery and danger.